Beautifully crafted and featuring a 12mm round Portuguese cut fine art crystal stone by Jack Storms, these classic cufflinks from the Aria collection are sure to please even the most discerning gentlemen in search of the perfect accent piece. Aria cufflinks are available in sterling silver and 14k white or yellow gold. Harry Y. Reviewed by Harry Y. This are expensive but worth every penny! Incredible pieces of jewelry! I think my husband fell in love with me all over again on Christmas morning when he opened the box. These cufflinks are classy, classic, heavy, great design and quality and the stones are incredible! Jannet U. Reviewed by Jannet U. Gave this to my Hubby for Christmas. He loved it! Extremelly well made. Giovana H. Reviewed by Giovana H.
Got this for my hubby for Christmas. Very classy and well made and the stones are stunning. 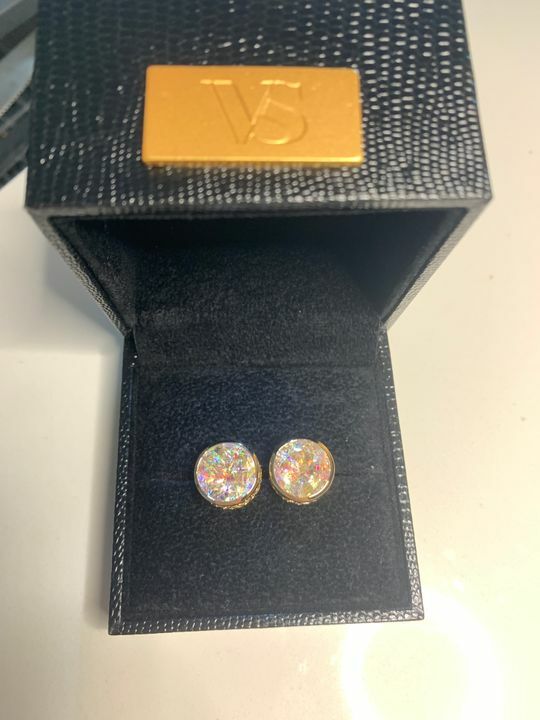 Jennyfer R. Reviewed by Jennyfer R.
Stunnning set of cuff links!